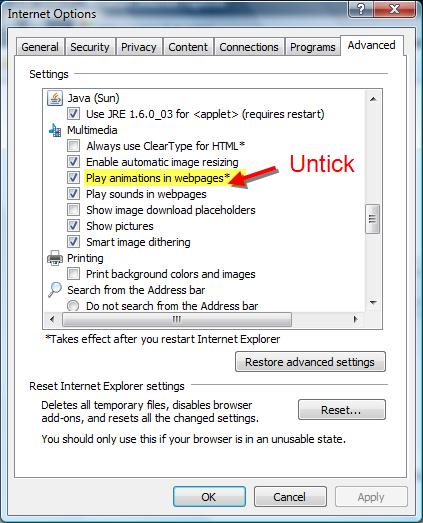 Question: How do I disable or block animated ads in Internet Explorer 7? 4) In the Settings scroll down menu, go to the Multimedia heading and then untick ‘Play Animations in webpages‘. 5) Click ‘Apply‘ and then ‘OK‘. Then restart Internet Explorer 7 for the change to take effect. Pagerank 8! I'm over the moon!